There is no better time like the present than to start looking for a job. Whether you are on the lookout for something new, a new location or getting back into work after not being at work there is something out there for you. Whatever your speciality there are part time jobs and full time jobs waiting to be filled all over the country. A full time job is classed as a job which takes up most of your time. You will get a monthly salary and be asked to work a certain amount of hours a week. Usually the average is eight hours a day. A full time job gives you a stable salary and the chance to evolve and learn. Choosing a full time job can be the jump start you need on getting on the ladder to your dream career. Even if you are a single Mum or a student a full time job can be possible but it can also be hard. This is why there are part time jobs available. Choosing a part time job is another option if you don't think full time is for you. The salary is less and the hours are less. You might do a few hours every other evening or only at the weekend. Depending on what you are working the hours can vary. This gives you more time if you have children at home, if you care for elderly parents or if you are studying. Looking for a job can seem like a daunting task. With the possibilities today, the web and the support it doesn't have to be as hard as you think it is. The first step is to think about the location you can work in. Can you drive? How far can you travel? Do you want the job within walking distance? Break the area down and figure out what location you can cover. If you are moving to a new location then do the same. Before you start searching you need to think about where to search. The second step is to narrow down your job search to what you want to work as. Do you have specific qualifications? Are you looking for something that doesn't require a degree? Think about what you have done, what you can do and what you would like to do. Previous experience in any area is always a plus but employers are always looking for fresh minds who want to work and who want to learn. After you have thought about location and area in which you want to work on, move on and think about the hours you can and want to work. Do you want to work shifts? Can you handle three children and a full time job? You need to consider daycare options if you have a little one and you need to think about what works best financially for you. Creating your CV isn't as hard as you think. All you need is to describe previous work experience, qualifications, education and a little bit about yourself. Try to be original and state any skills you might have. Make sure you leave contact information so the employer can get back to you. There are no rules about what you should and shouldn't put on a CV. In fact one man recently put two lines on his CV and got employed that same week. Try to be different and show off all your good points without being too over confident. Use a great online CV Creator & download to your Pc. Applying for as many jobs as possible will give you the chance to choose. You might apply for 100, get 20 interviews and out of those accepted to maybe five jobs. 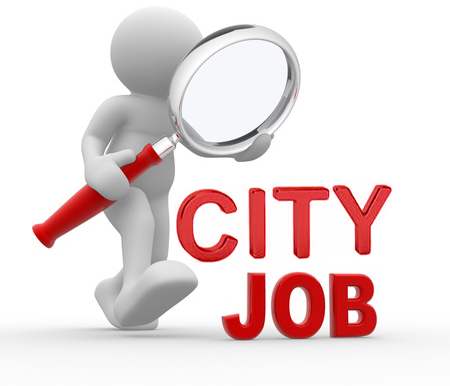 You can apply for jobs slightly outside of your skill area and location. If the salary allows it then a little extra time or traveling will make up for it. If you don't mind completing courses while on a job then consider these options as well, where you learn at the same time. There are literally thousands of jobs out there. There is something for you. Don't be disappointed if your first application gets rejected either. Don't hesitate but make the change today. If you are bored of your regular job. If you want something that challenges you or if you want to get stuck back into work after being a stay at home mum then start today. Begin your dream career however old you are and whatever your experience. After all it is only you that make the change. You might even find a better proposition than you hoped for. All you need to do is register, search for the job and then start applying. Your future is in your hands.